Pulled out some film from my “reserve” for a photo shoot today. It helps knowing people who own #cigar shops! Did you know they make the best #film containers? New #art fair items! Happy to have found a good grid system and note card rack. Looking forward to my fairs in September and November! Click the link to read a great write up about the Community Supported Art Project I am a part of! Very pumped to be included in the first group of artists! Finding some very intriguing #negatives this morning. Scanning away this morning/afternoon. Super pumped in spite of the scale of things to do! 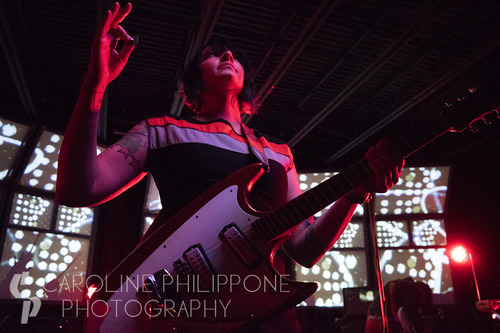 Proving to be one of the best shows of 2014, Man or Astroman?, Sallie Ford, and Wray performed at The Firebird on Wednesday July 16th. To check out photos from the night head on over to KDHX’s page and see more images I took, along with a short review! My two cents: f you aren’t familiar with these bands, you definitely should be! And if any of them are hitting your town on tour, make your way down and see them. Pretty excited about the results of some new macro photography work. Reasons I don’t throw away my scrap matboard…I managed to save a ton of board from my “scrap” pile.